Shihan Power-Sports Elbow Slings are heavy-duty sleeves that provide an undeniable level of maximum joint compression to promote superior support and increase strength of your elbows. Experience support, warmth and reduce any unnecessary strain on your elbows. Power-Sports Elbow Sleeves are perfect for weightlifting bench press and crossfit. ★★★ Shihan Power-Sports Elbow Slings are heavy-duty sleeves that provide an undeniable level of maximum joint compression to promote superior support and increase strength of your elbows. Experience support, warmth and reduce any unnecessary strain on your elbows. 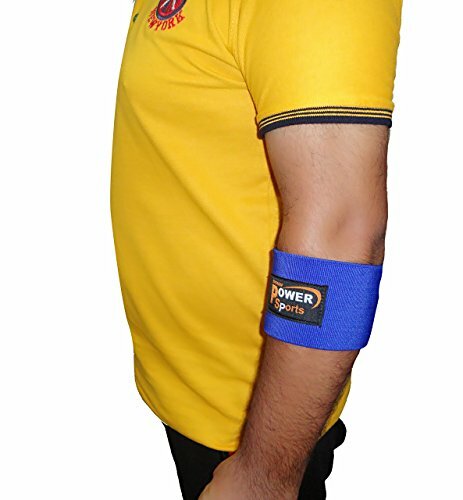 Power-Sports Elbow Sleeves are perfect for weightlifting bench press and crossfit. If you have any questions about this product by Shihan Power-Sports, contact us by completing and submitting the form below. If you are looking for a specif part number, please include it with your message.